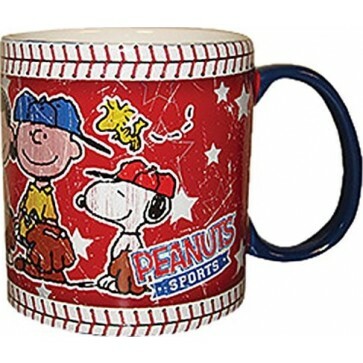 Peanuts stoneware mug with an awesome wrap around image of the Peanuts in various sports activities. 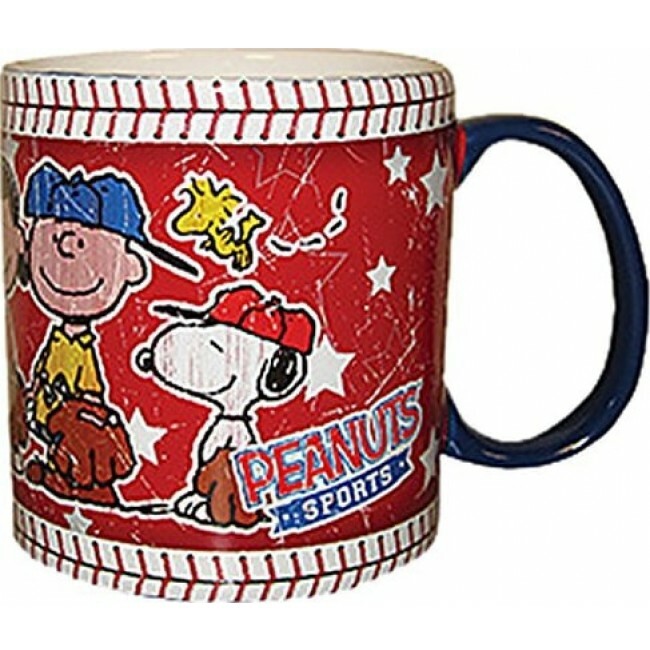 Holds up to 14. oz. Dishwasher and microwave safe.